A Gent in Training: All Hail Jason King! Imagine a television show with very questionable plots, a somewhat ineffectual hero, and cinematography that looks as if the cameraman has never bothered to clean his lenses. 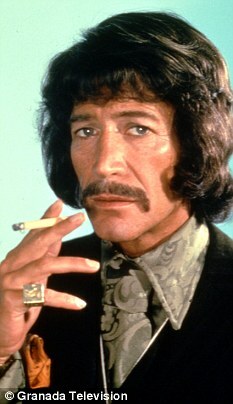 That, in a nutshell, is Jason King. Sounds awful, doesn't it? Well, it's not... and in fact Jason King is one of my favorite TV programs. Why? I could mention the bevy of beautiful women, the cool European locations, or the wacky early '70s vibe. But the real draw here is the character of Jason King himself, brilliantly portrayed by the super charismatic Peter Wyngarde. The show is about a thriller writer who finds himself frequently involved in real-life intrigue. But that doesn't matter. It's all just an excuse for Wyngarde to do his thing, tossing of ad-libbed lines like "A bit too early for coffee; I'll have a Scotch." He is probably the most flamboyant leading man in any TV show ever produced. Jason King is the type to spend several minutes of screen time trying to decide what silk scarf to wear and orders champagne and strawberries for breakfast. He's also whiny, greedy, and often bullied. But he somehow remains cool nonetheless. In one episode, we watch King strolling through Paris (real Paris, not a set) buying items for a dinner he'll prepare later. This should be boring, yet it isn't. While Jason King enjoyed very good ratings, it didn't last. 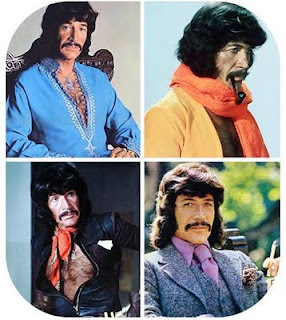 Peter Wyngarde's career was undone by scandals involving his homosexuality, and his acting roles become fewer and far between. 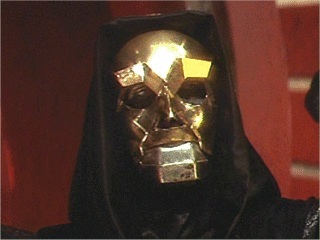 (By the way, he was fantastic as the masked Klytus in 1980's Flash Gordon with future Bond Timothy Dalton.) It's a real shame, because Wyngarde was (is?) a very entertaining, talented actor with real screen presence and a wonderful voice.